Today's students want to understand not only the causes and character of global environmental problems like climate change, species extinction, and freshwater scarcity, but also what to do about them. This book offers the most comprehensive, fair-minded, accessible, and forward-looking text for introducing students to the challenge of global environmental protection. Drawing on a diverse range of voices, the book sequentially explains our current predicament, examines what is being done to respond at a variety of levels from the international to the local, and outlines different, relevant strategic choices for genuine political engagement. 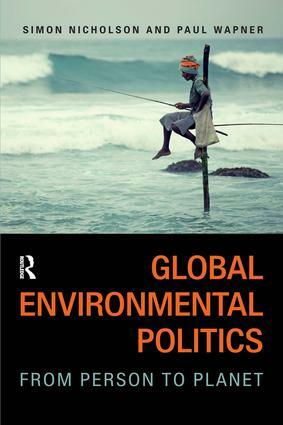 Developed by two top researchers and master teachers of global environmental politics, the book brings together sharply written introductory essays with tightly edited selections from a broad cross section of thinkers to provide a text that will excite and educate students of global environmental affairs. In addition, the book introduces a series of exercises designed specifically to help students draw connections between their own lives and the broader challenge of global sustainability. Global Environmental Politics: From Person to Planet finally answers the question of how to teach students about environmental harm with a sober sense of ecological reality, a firm grasp on politics, and an optimistic look toward the future. Original section introductions by the volume editors cover key topics such as the four major planetary challenges (climate, extinction, water, and food); leading causes of environmental harm; the role of states, markets, and civil society; race, class, and geopolitical difference; and the value of thinking strategically and using a broad political imagination. Carefully selected and judiciously edited readings from a wide range of sources feature high-profile authors from popular as well as specialist media. Action-oriented exercises engage students in being part of the solution.